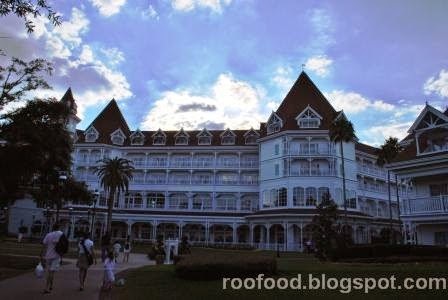 Another signature meal at the Grand Floridian Hotel is at Narcoossee’s. A signature meal is basically Disney Fine Dining and on the dining plan that I had it equates to two table service credits. I arrive before sunset and gaze out upon the lake. Narcoossee's was a restaurant that I was really looking forward to dining at....even though it is "Floridian" it reminds me more of Maine? Not sure why as I have never been to Maine! I start with a pre-dinner cocktail. 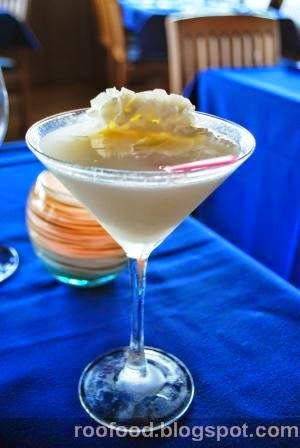 Only a Key Lime Martini will do. It’s dessert in a glass with a tangy zing. I’m liking it. 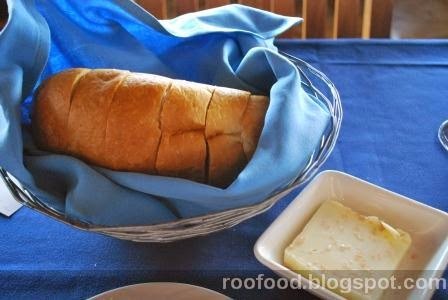 Most meals start with the bread basket and the bread here is warm and fluffy. For starters I go with something light and summery. Crab Cakes with southern slaw and cajun remoulade. Crispy and full of sweet crab. There isn’t a lot of filler in these cakes and they are so tasty. The Southern slaw was perfectly creamy (and not swamped in dressing!) 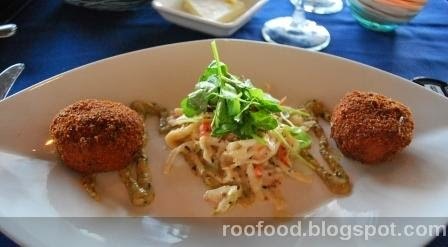 and the cajun remoulade was a great dipping sauce for the crab cakes. 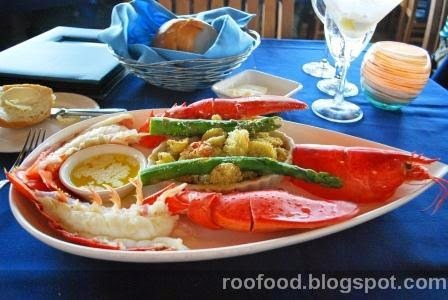 For mains I chose the Steamed Whole Maine lobster, baked sherry cheddar orchiette pasta and asparagus. 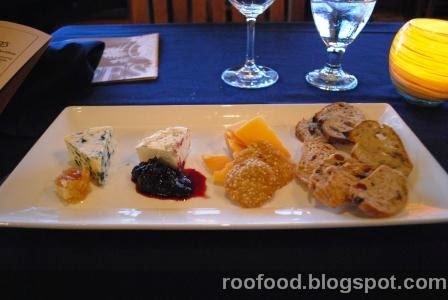 I just couldn't do any more sweet stuff (I think I had finally hit my sugar ceiling for the trip) but I do love to end a meal (or start a meal too) with a good cheese platter. That I can do! I had already sampled the Reyvaer VSOP and Forrme D'Ambert at California Grill but I was quite partial to the Purple Haze goats cheese. Argh I love and hate the lobster in America is so crazy cheap!